YPlan, the app that promises to find you and your friends something to do in New York or London at the drop of a hat, has launched on Android, bringing its full curated list of events to Google’s mobile OS. 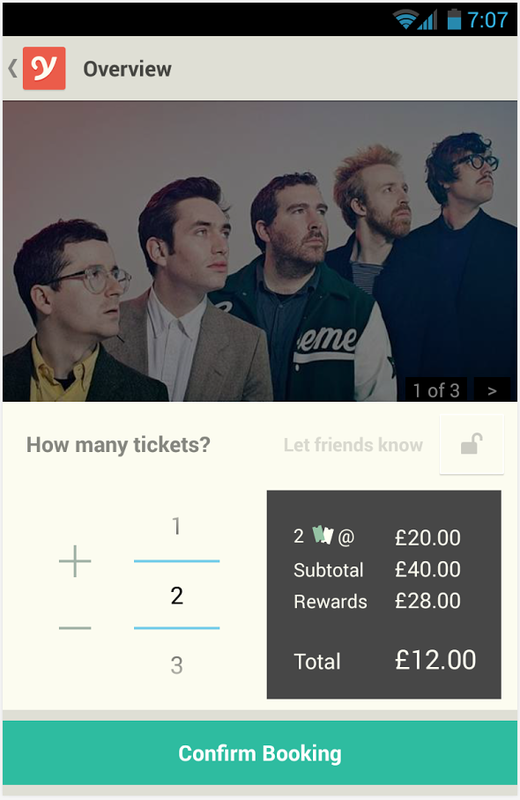 Available already for iOS, the Android version will suggest things for you to do like going to see Chessboxing, Rebel Bingo, Future Cinema, Beyoncé, Ellie Goulding or Louis CK and it can all be booked in just two taps, with no need to print out any tickets. Naturally, users of the app are eligible for discounts on some of these experiences, and can also earn £7 each time (around $10) they recommend a friend who then makes a purchase.